LNER/BR Peppercorn K1 locomotive and tender. Popular and widespread locomotives used for a wide variety of duties. My model has all the subtleties of the prototype including the sloping footplate section under the boiler. Details include electric lighting, speedometer and modifications (including tender) made during their era. Contains over 100 brass castings and separate frame spacers for 00, EM and P4 gauges. Price £175 (excluding wheels, gearbox and motor) plus £5 P & P (UK). Ex-WD Austerity 2-8-0 locomotive and tender. Built during wartime, a minimal amount of material was used in their construction. I believe that I have captured the almost delicate, utilitarian appearance of the original, following meticulous study of the works drawings. 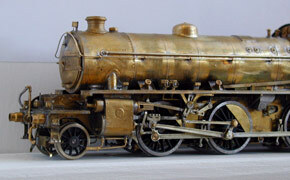 A highly detailed model of a common locomotive, demanding the provision of a large number of brass castings as well as the etched parts. 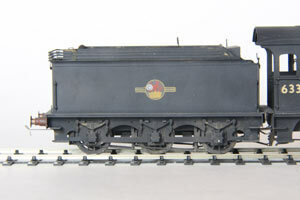 £175 + £5 P & P.
LNER J27 0-6-0 and tender. 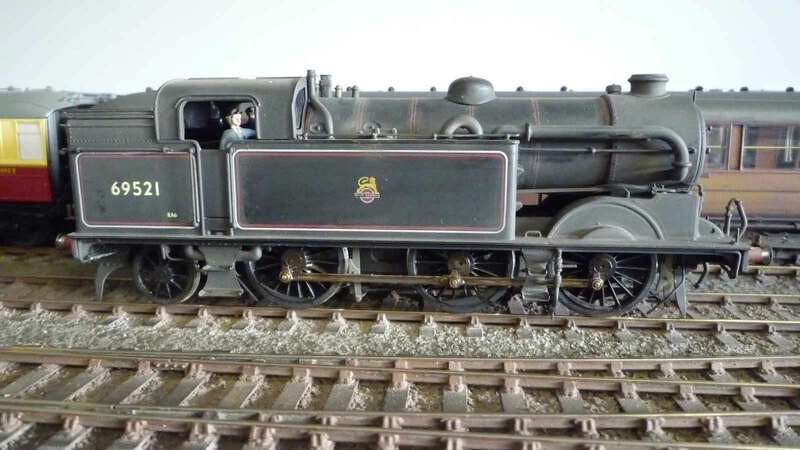 This etched kit offers a comprehensive portrayal of a remarkable prototype which became the last pre-grouping class on BR. Virtually all detail versions of these engines (including superheated) can be made. See MRJ #72 for review. The chassis has been fully updated and is fully compatible with P4, EM and 00 gauges with provision for a rigid version. 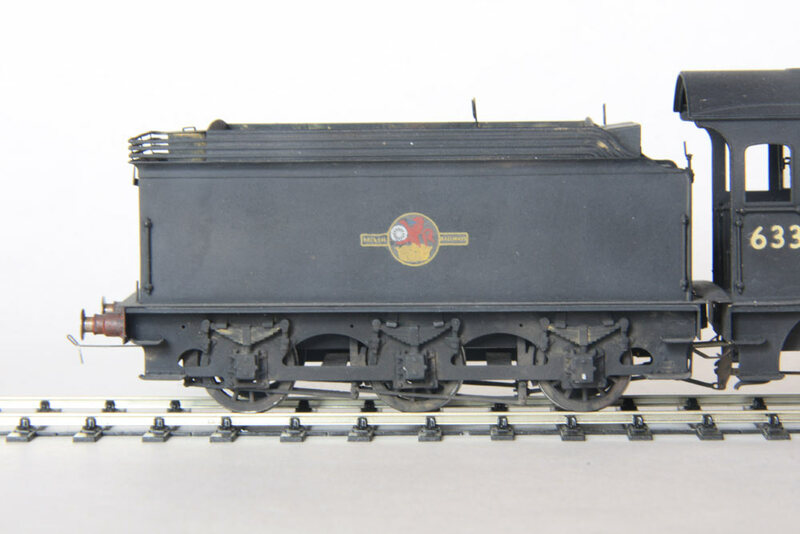 £150 + £5 P & P.
LNER Q6 0-8-0 and tender. An iconic NER design introduced in 1913 for heavy mineral service throughout the region. These popular locomotives deserve an up to date kit enabling the changes made during 54 years of operation to be represented. 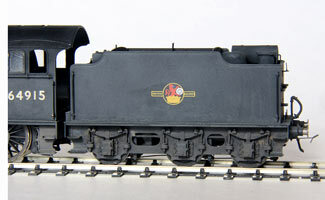 Included are 2 boiler versions and all 5 tender types. Please state if you want NER buffers as fitted until 1928-1939. £160 +£5 P & P.
N2 Chassis – for the Airfix/Dapol body. 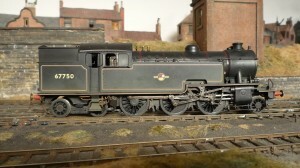 Finished loco from Airfix body, this kit and a few additional details. Includes new steps, 2 styles of frames and for later versions, flanges for new condensing pipes and alternative cab front and rear overlays. Spacers for EM and P4 only. 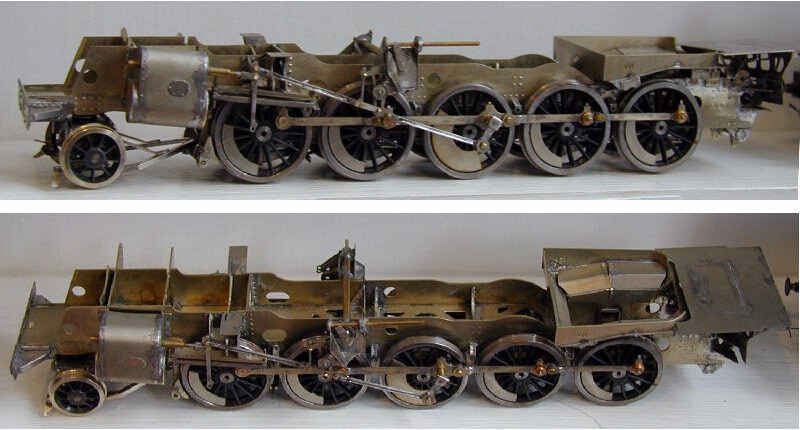 £48 + £2 P & P.
Chassis kit for LNER B1. The excellent bodies by Replica/Bachmann or Hornby are used as a basis to produce an accurate and realistic LNER B1 model, although any scale body could be used. A complete re-design has produced an updated kit for P4 and EM gauges. Also included are a tender chassis, chimney , dome, alternative smokebox doors and several alternative styles of balance weights and steps. £68 + £2 P & P.
A rather special kit which reflects the construction of the prototype – the soul of the machine. The fabricated brackets supporting the motion, cab and injectors are all there and are specially designed with groups of parts easily locating together during assembly. All nickel silver with many brass castings, including injectors and valves. Parts for P4/EM are included but a 00 conversion should be possible. £96 + £2 P & P..
A proper chassis designed to produce a hard working P4 or EM engine using the Bachmann, or any other accurate body. All nickel silver etches with brass castings. An inside frame tender chassis is included but not the Cartazzi castings. The kit provides working solutions to the problems inherent in building reliable models of Pacifics. 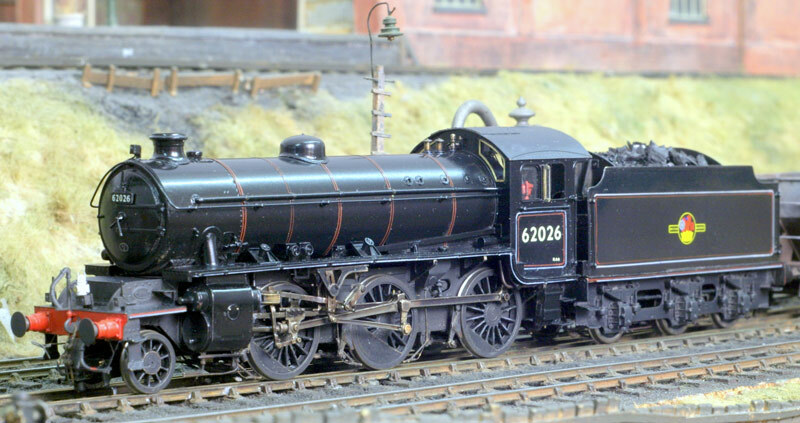 Price £73.00 + £2 P & P.
Once again, the Bachmann body can give us an accurate model. 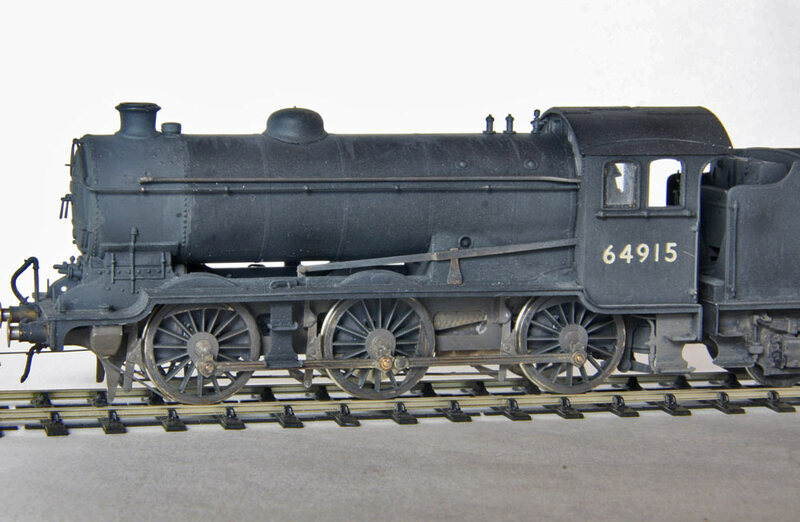 The chassis design follows the prototype closely and features dummy inside valve gear, visible under the high boiler. The lubricator drive is also there. Etched steps are provided and a casting for the missing boiler bottom. Also in the kit are hornblocks and an underframe for the Bachmann tender. A large nickel silver etch provides all this and covers all 3 gauges. £53.00 + £2 P & P.
The first of some more basic chassis, this fits under the Hornby body. All wheels are still sprung but they will avoid excess detail normally lost in the depths in order to simplify assembly. 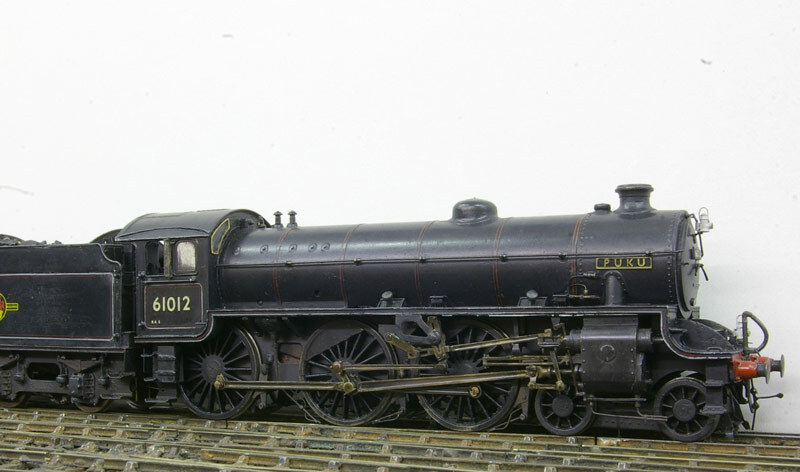 £60 + £2 P & P.
LNER 4200 gallon group standard tender. This comprehensive kit covers all significant flat-sided versions (ie not the flared type). Information is provided to indicate the correct variant for the locomotive – these tenders were used at some time with classes B1, B2, B17, D49, J38, J39, K1, K3, K4, O2 and V2. (See K1 above for model photos). £62.00 + £2 P & P.
I can supply etches, castings and instructions for the NER 3038 gallon tender only. This suits NER classes C, D, F, G, I, P and P2/P3. NER larger tenders – 3940 & 4125 gallon. These were essentially progressively higher versions of the 3038 gallon tender above and the kit also covers the final self trimming type with wider tank. The different coal rail styles are provided for this later version. 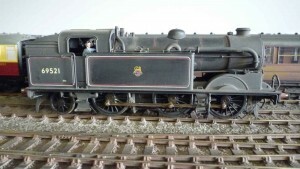 The tenders in this kit cover the period of NER loco building from the class J single wheeler in 1889 up to and including the Pacific, just before grouping. As engines were withdrawn, several varieties of these tenders were transferred to J39s and D49s – see RCTS green books, or relevant Isinglass drawing for details. Castings for a variety of details versions are included, particularly axleboxes. 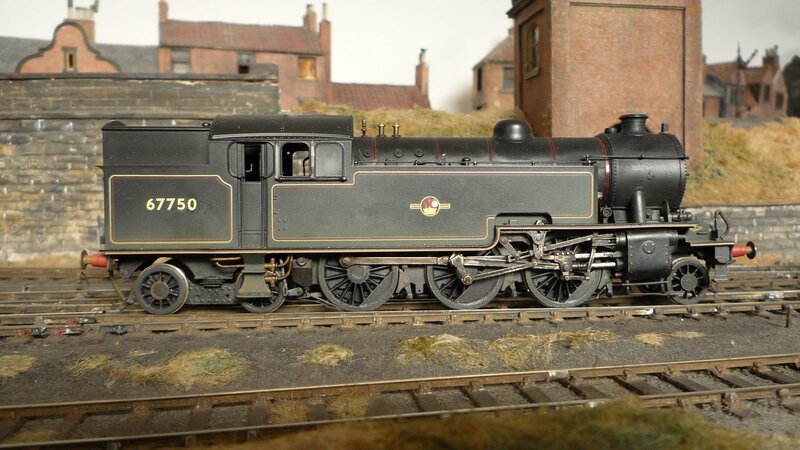 LNER 3500 gallon group standard tender. These tenders were easily distinguished from the larger 4200 gallon type above by the longer rear cutaway in the side of the coping plates. This time I’ve incorporated all normal versions – flared, flat and high front, welded or riveted as appropriate. They were used at some time with classes J38, J39, K1/1, K4 and V4.